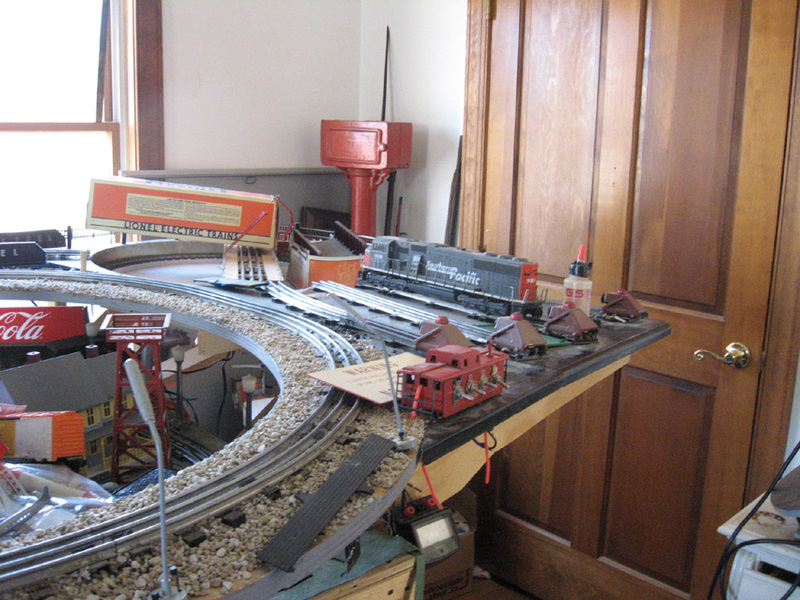 The first project we started on with my Dad’s estate was his train room. We started here because we were 100% certain that all of it was his. My Dad did a hell of a job with this room. 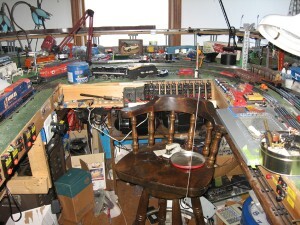 It was the ultimate haven for Lionel and train fans. Everything was like a custom job. He designed and built the whole structure. He did all the wiring. It was magnificent. He put trains on the wall, he had a TV which worked with the TV train, he had a lot of really cool trains and everyone of them did something different. My Dad put a lot of effort into the little details of the room. He put kitty litter around the track to make it look like rocks. It was truly spectacular. Anyway, this room was our first project. It was very heartbreaking to start dismantling it. 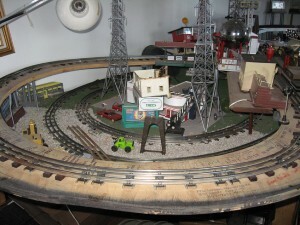 It was a difficult thing to do because Dad had spent so much time building it. It was amazing. We started to clear the trains away first. We went with a not really effective approach. We basically found all the Lionel and other train boxes we could find and chose one and ran with it. It didn’t work too well. After weeks of doing it this way, we decided to revamp our strategy. We decided to move all the trains to downstairs where we can better examine them and fit them inside their boxes. Also, we started to take the scenery apart. That whole process took about one and a half months. 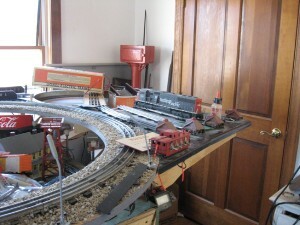 We finally then got down to dismantling the track and tables. All the track was screwed down. It was made to last. So were the tables. They were built very strong. In the end, we ended up cutting sections of table out. We ran into issues of where to put the stuff when we were done. We dubbed the little garage the trash pile to dump. It worked out quite well. 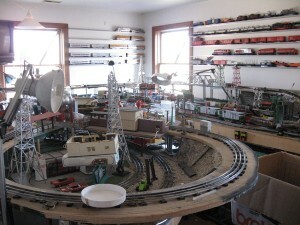 We are still sorting trains and scenary out downstairs in its own area. We have found just about every matching box to train. We have started bagging the trains and placing them in boxes. We have moved the trains and are probably going to wait until the economy rebounds to sell them. I will, of course, keep a few. The finished product of this room is a bunch of tools and other things that we shouldn’t get rid of quite yet in a pile in one of the corners. We are using this room as extra area as we move along in the house.